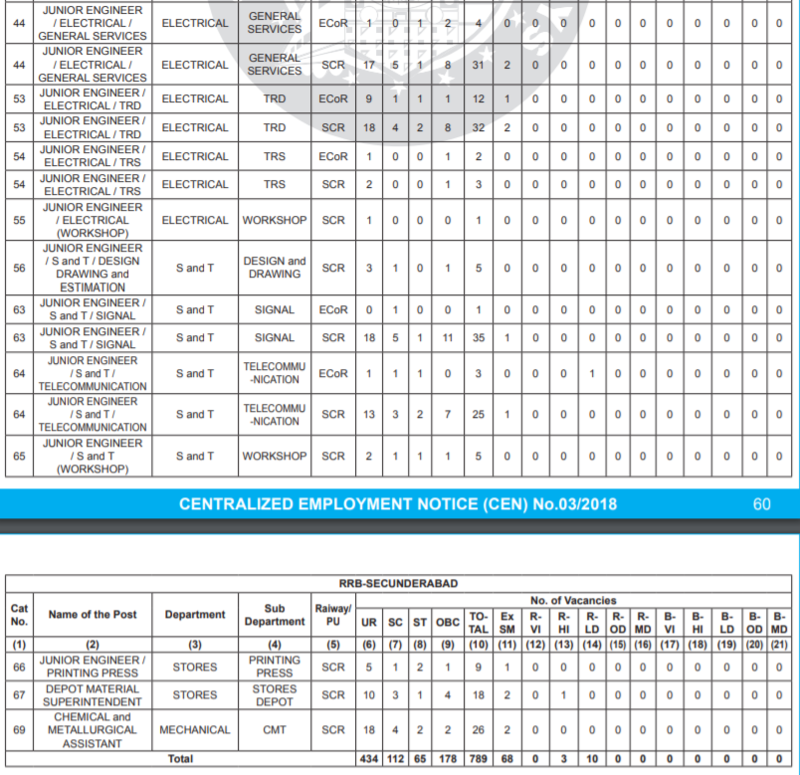 RRB Secunderabad recruitment 2019, JE 870 vacancy notification link out! 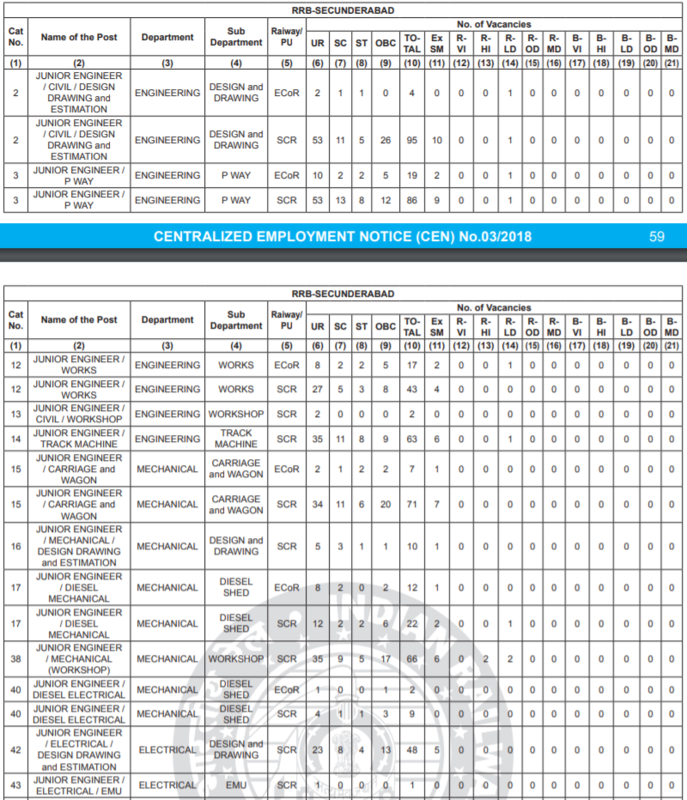 RRB Secunderabad recruitment 2019-2020: Applicants from Indian nationals (male and female) are invited from the desirous and eligible applicants to fill-up 870 following vacancies to the posts (JE), DMS & CMA jobs in the railway recruitment board Secunderabad zone. All the interested candidates must check out the important dates, eligibility criteria such as Age limit, Requirement & desirable Education qualification, Exam Syllabus, Exam pattern, official notification and apply online link. You can apply for the railway jobs on their official website (http://www.indianrailways.gov.in or http://rrbsecunderabad.nic.in/ ) as per given below schedule.